Third graders have recently started a science unit on Inheritance and Variation of Traits. Students are learning how to classify living things. On March 10, Mr. Binayak visited third grade to help students learn about scientific classification. He taught students about the five kingdoms and then focused on the some of the phylums. Students examined specimen models arthropods, mollusks, platyhelminths, porifera and more. 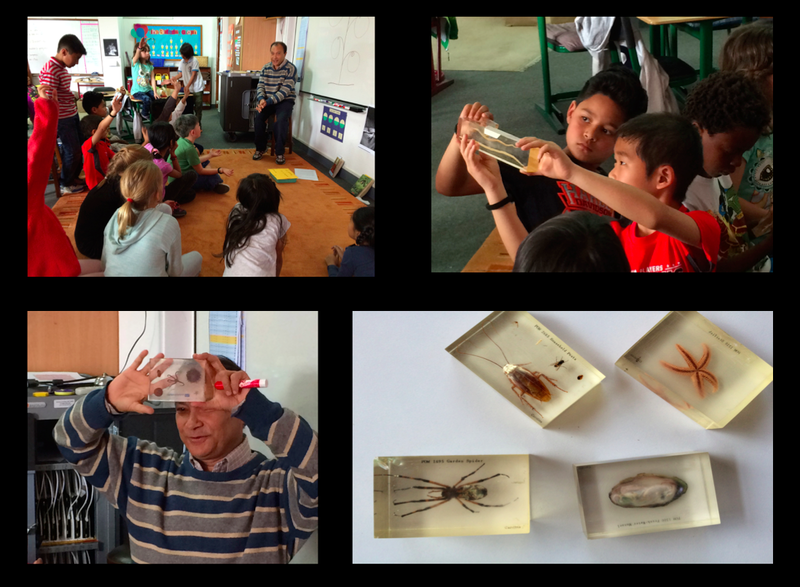 Students were very excited to study the specimen models and ask Mr. Binayak questions.